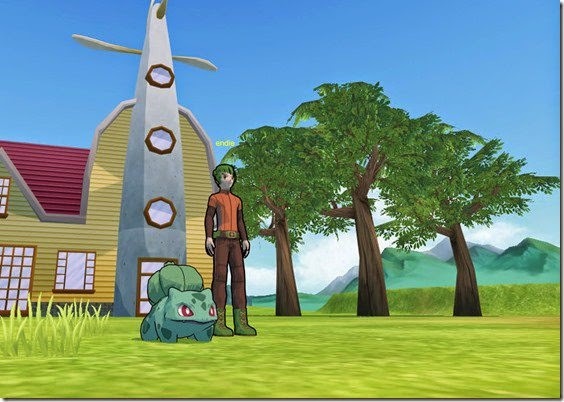 Members from the PokeGen community have been working on a freeware Pokémon MMORPG called Pokémon Planet, and they have just released the first public pre-alpha build of the game for you to download, if you wish. The first thing to note is that everything you see in Pokémon Planet is very early and, in fact, the development team say that “the game’s code and assets will be completely reworked and rewritten after this version.” That should mean the game will change drastically, then. The current pre-alpha build features a basic multiplayer system with in-game chatting. It also lets you catch your starter Pokémon and do real-time battles with them against others. Pokémon Planet will, of course, be expanded upon in a number of ways from this simple build. Both your character and their Pokémon will have their own skill tree that you can progress through, for example. You’ll also be able to venture into The Wilderness to find wild Pokémon to battle and tame. Pokémon Leagues will also be a feature so that you can attempt to become the very best (that ever was). A full roster of features planned for the game can be found on the game’s wiki. Those looking to track Pokémon Planet’s progress, new builds, and talk with the community can do so over on the official forums.